Platforms: Available now on the Apple iPhone®, iPod Touch® and iPad®! Featuring an all star team with clientele including Disney, Sega and BAFTA, Drop That Candy is an upcoming game from Greenfly Studios featuring compelling gameplay and fiendish puzzles! 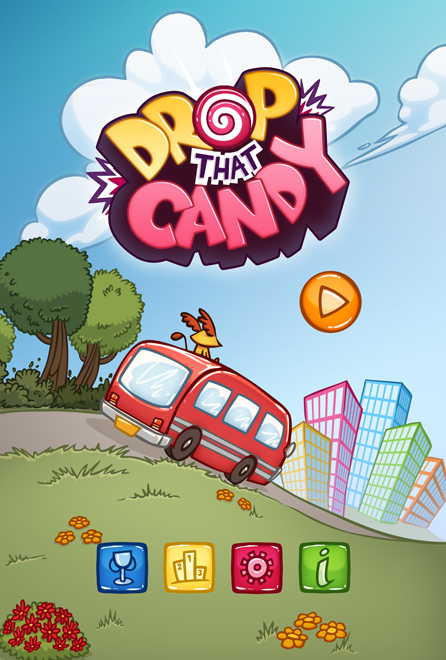 With intuitive controls and lovingly crafted graphics, Drop That Candy focuses on Gizmo’s journey to the big city in the search of his latest desire: CANDY! With sweets trapped behind glistening vending machines, help feed Gizmo in the least amount of brain-twisting moves possible. With an initial 60 puzzles to conquer, explore candy stores and science museums featuring their own quirky contraptions. With planned regular updates, follow his adventures over Halloween and the holidays!